Following a few conversations on the future of TV and desktops/laptops, I decided to look into how people's screen time has changed. To do so I compiled data from a few different sources going back several years on adults (18+) in the United States. 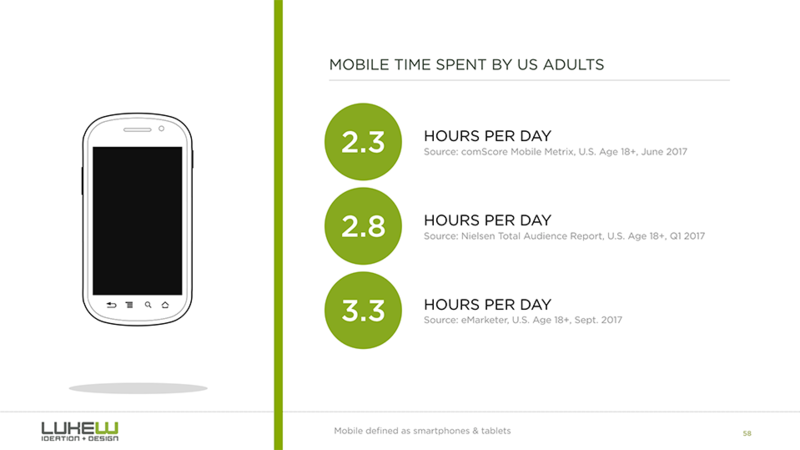 While the rise of time spent on mobile is dramatic, the effect is mostly additive. 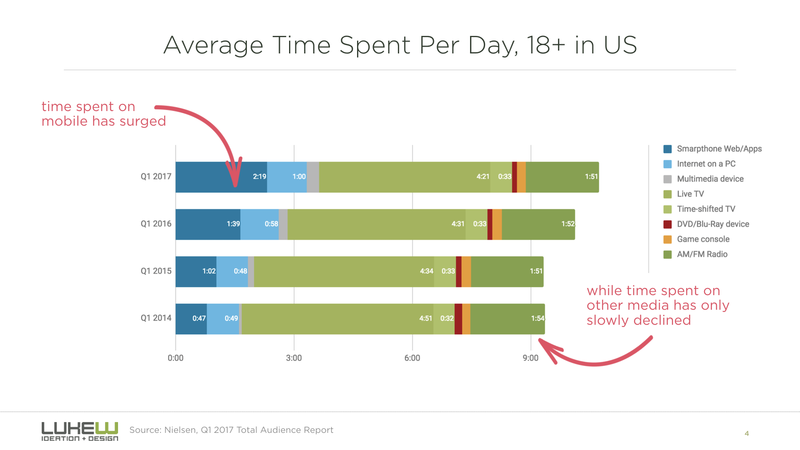 That is, it created more screen time in the United States than it took from other media like TV and radio. Looking at another data source, in this case Nielsen's Total Audience Report over the past four years, seems to tell the same story. 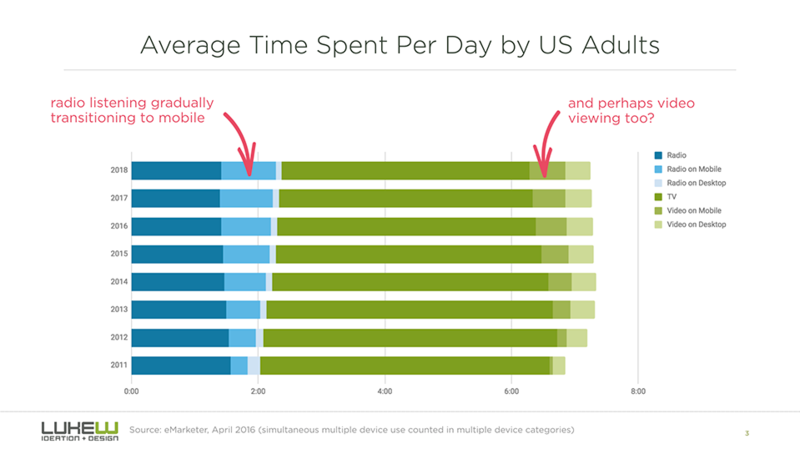 That said, it does appear activities like listening to radio and video viewing are gradually transitioning to mobile devices over time (with the vast majority on smartphones). 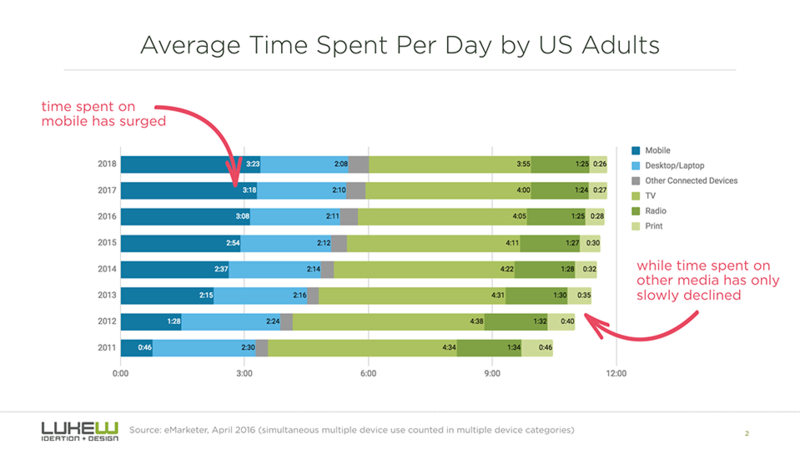 Which makes sense when you consider adults in the US are spending about 3 hours a day on their mobile devices.